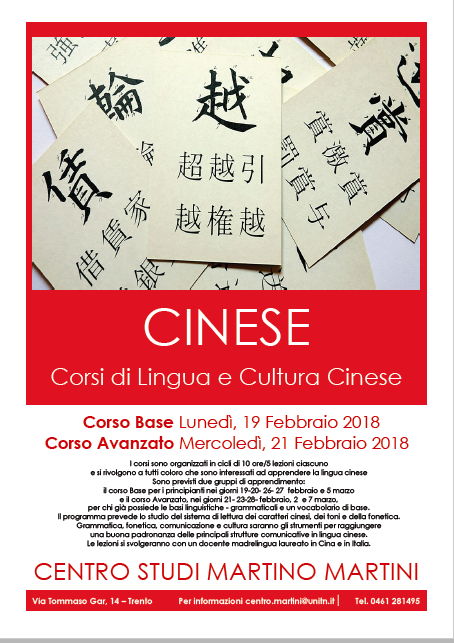 Established in May 2014 thanks to Hanban support, the Chinese Corner at Martino Martini Centre offers a broad range of tools and opportunities to learn about Chinese language and culture. The Centre offers basic and advanced language tools and - for advanced learners - the possibility to practice Chinese (HSK 4) with Chinese conversation sessions. 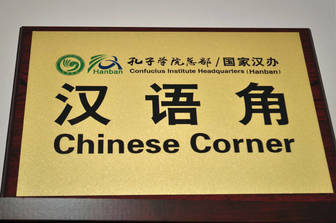 At the Chinese Corner, participants have the opportunity to develop their language skills , thanks to the support and interaction with native speaking Chinese lecturers and the educational tools , books and audivisual resources available at the Chinese corner library . CDs Chinese popular music . ​to both academic and external learners. The Italian Ministry of Foreign Affairs provides scholarships for Italian and Chinese made available by the respective countries. The China Scholarship Council through the Chinese Government Scholarship-Bilateral Program. The deadline to submit the on line applications is next December 31st 2018.